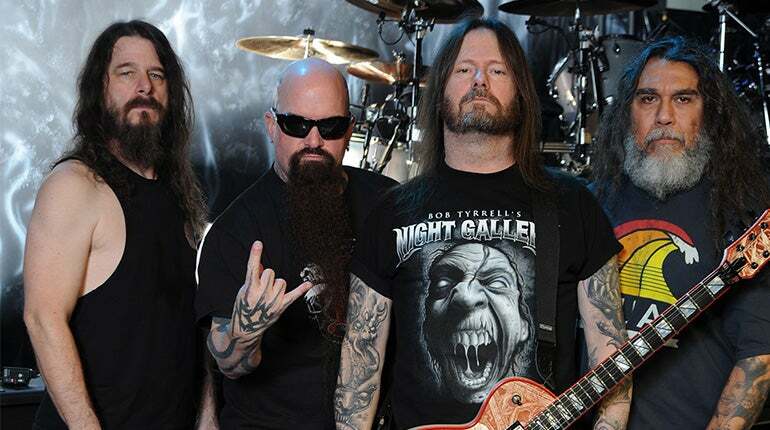 Literally by popular demand - with more than half the tour dates already either completely sold out or a sell-out imminent - today Slayer announces Leg Two, North America, of its final world tour, culminating at San Jose’s SAP Center on August 26. Lamb of God, Anthrax, Testament and Napalm Death will accompany the band on all dates. The general ticket on sale begins this Friday, March 9 at 10AM (local) via Ticketmaster. Very limited Slayer onstage + Meet & Greet + exclusive merchandise packages will be available. Log on to www.slayer.net for all ticket and package purchasing information.